The OCi represents the next step forward in recreational wireless air-integrated dive computers from Oceanic. The OCi combines the technology of the advanced OC1, the styling of Oceanic's best selling OCS and some new features into one incredibly capable dive computer. 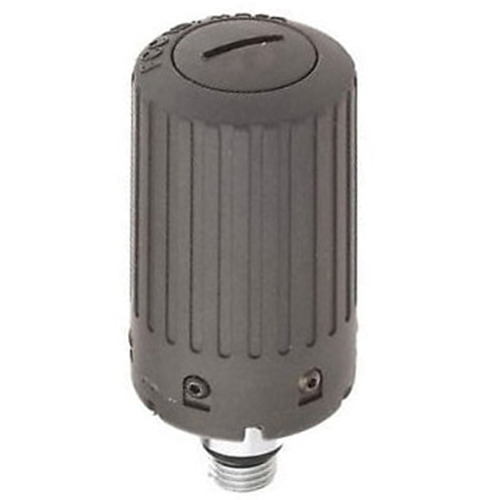 The OCi represents the next step forward in recreational wireless air-integrated dive computers from Oceanic. The OCi combined the technology of our advanced OC1, the styling of our best selling OCS and some new features into one incredibly capable dive computer. 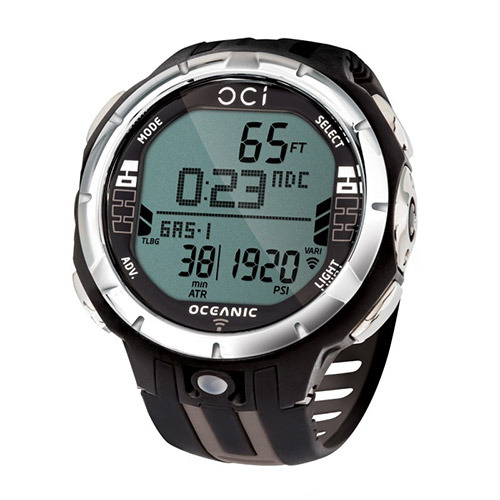 Not only is the OCi powered by our ground breaking Dual Algorithm™ technology but it can handle up to 4 gases, calculate nitrogen during a freedive (in the new tech free mode), enable you to select between salt or fresh water and it even automatically adjusts your altitude. The customizable alarms and digital compass are just icing on the cake. Oh and let's not forget that it functions pretty well as a watch too. Feature for feature the OCi has no competition. Available in 5 distinct colors: Black / Red, Black / Yellow, Black / Titanium, Black / Blue and White.